ProSource 16' Oversized Sun Shade Only $34.99! 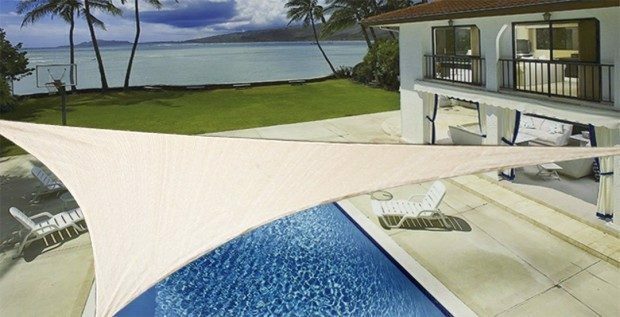 You are here: Home / Great Deals / Amazon Deals / ProSource 16′ Oversized Sun Shade Only $34.99! ProSource 16′ Oversized Sun Shade Only $34.99! ProSource Sun Shade sails are remarkably strong with amazing longevity to remain installed in hot/dry climates as well as cold and damp. The fabric enables cool air to penetrate the shade sail, offering an airy, comfortable, and well-ventilated space. And it blocks 89-92% of UV rays! Get the ProSource 16′ Oversized Sun Shade for Only $34.99!